Chalfant Hydraulic Edge-of-Dock Levelers offer you the quality and convenience of hydraulics at a competitive price. 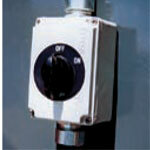 Solid state technology provides easy activation and recycling of deck and lip cylinders. Fully automatic return feature lowers the HED back into stored position immediately upon truck departure. 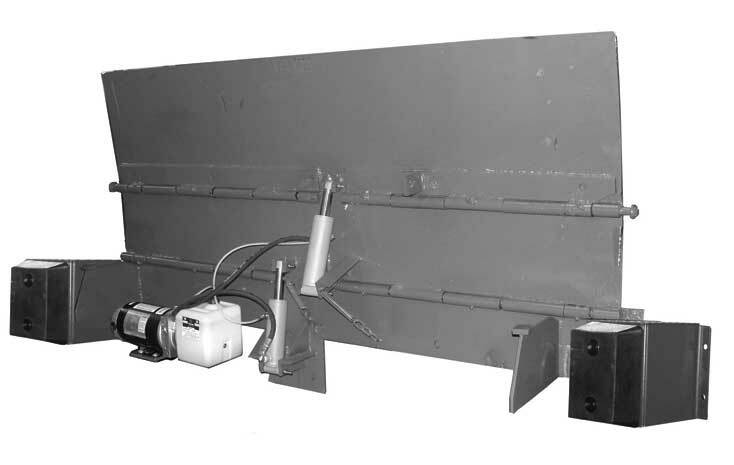 HED Series Hydraulic Edge of Dock Levelers provide an operating range of 5” above and 5” below dock, with a minimum lip projection of 12 3/4”. The hydraulic system features dual Deck and Lip Cylinders - providing smooth, quiet, dependable operation. Totally enclosed, non-ventilated Industrial Electric Motor power pack includes a 4,000 P.S.I. - capable hydraulic pump. The hydraulic edge-of-dock leveler recycles while the truck is at the dock, with the twist of a switch or automatically upon truck departure. All Operations of the edge of dock leveler are controlled from a single, pre-wired Wall Mounted Rotary Switch Control Box. Leveler can be recycled with the truck in position, or after truck departs. 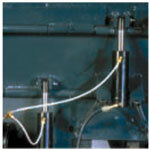 Simple, Two-Cylinder Design provides quiet, dependable operation. Formed, plate-steel Bumper Blocks and molded cord Rubber Bumpers protect dock face and Leveler from truck damage. Molded Bumpers protect dock face and Leveler from truck damage. Power Pack - 1 hp; 1 ph. (3 ph. optional). Steel Rivets located at either end of the center-plate hinge provides easy, forklift installation. 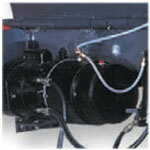 Optional Self-Forming Pan allows unit to be recessed into dock face without concrete pit forming. Fully Enclosed, non-ventilated Industrial Electric Motor Assembly. Standard Breather Dip Stick for graduated air filtration and checking oil levels. S.A.E. Straight Thread Porting, along with cartridge design valving integrated into a Single Valve Manifold, significantly reduces the possibility of hydraulic fluid leakage.